I’m glad to see that you are interested in Feng Shui. Feng Shui changes room, and thereby life in a wonderful way. If your interested in a Feng Shui consultation or would like to book a Feng Shui course or seminar, you have come to the right place! FENG SHUI IS FOR EVERYONE! The most successful part of Feng Shui is the positive changes it brings to happy places. Perfect harmony flows powerfully through rooms, buildings, gardens and landscapes. Colours are arranged according to the Feng Shui colour harmony and offer energetic places for wellness everyday. Feng Shui is the teaching of harmony, balance, the middle and the heart. The place where you work is not only your work place. It is a place where you spend a lot of time. 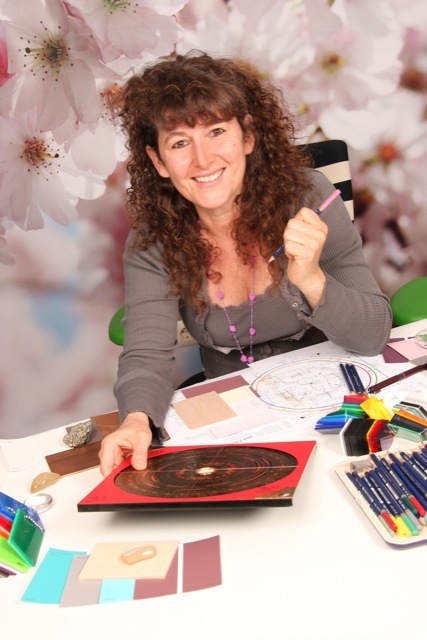 Viola Shaefer will create a Feng Shui concept to help you create a space of warmth and happiness in your living area. In my Feng Shui seminars and certified Feng Shui Education you will learn to create your own harmonic Feng Shui rooms. Classic Feng Shui and Tao Geomancy create comfortable rooms full of strength and energy. These harmonic places are filled with a vibrancy that radiates a feeling of strength, activity and balance. A place where you can feel comfortable and secure, regardless of whether it is your private home or your workplace. Thanks to Feng Shui, we can create such wonderful place in your home or garden. You will feel as if everyday is a holiday in nature. Have I awaken your interested? Would you like to see more? It is possible with one click, under the heading ‚projects‘, you can explore my portfolio of pictures and lose yourself in the world of Feng Shui. If you have any questions regarding Feng Shui or would like a consultation or information regarding a course or seminar, please feel free to contact me. I would love to hear from you! Your Feng Shui and Tao Geomancy Master Viola Schaefer.